UC Davis Health researchers have discovered how by-products of the digestion of dietary fiber by gut microbes act as the right fuel to help intestinal cells maintain gut health. The research, published August 11 in the journal Science, is important because it identifies a potential therapeutic target for rebalancing gut microbiota and adds to a growing body of knowledge on the complex interplay between gut microbiota and dietary fiber. An accompanying Insights / Perspectives article in the same issue of the journal describes gut microbes as "partners" in the body's defense against potential infectious agents, such as Salmonella. "Our research suggests that one of the best approaches to maintaining gut health might be to feed the beneficial microbes in our intestines dietary fiber, their preferred source of sustenance," said Andreas Bäumler, professor of medical microbiology and immunology at UC Davis Health and senior author of the study. "While it is known that the gut is the site of constant turf wars between microbes, our research suggests that signals generated by beneficial microbes drive the intestinal tract to limit resources that could lead to an expansion of potentially harmful microbes," he said. "Interestingly, the beneficial gut bacteria that are able to breakdown fiber don't survive in an environment rich in oxygen, which means that our microbiota and intestinal cells work together to promote a virtuous cycle that maintains gut health," Mariana X. Byndloss, assistant project scientist and first author on the study. The new research identified the host receptor peroxisome proliferator receptor gamma (PPARg) as the regulator responsible for maintaining this cycle of protection. 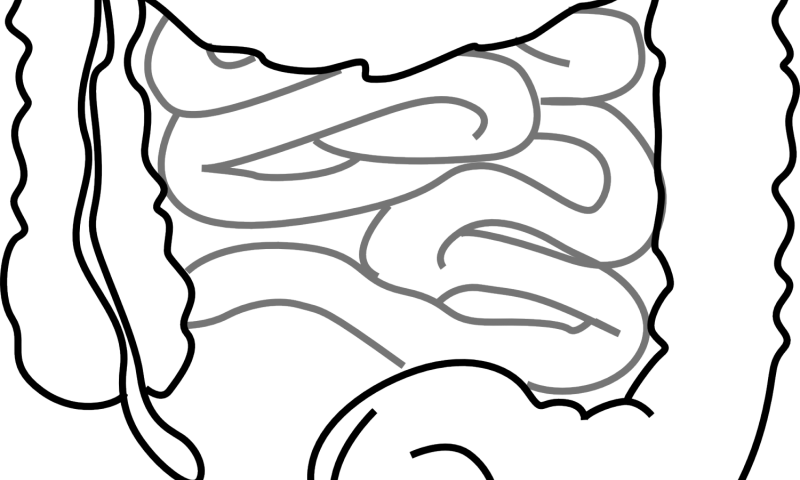 "When this host signaling pathway malfunctions, it leads to increased oxygen levels in the gut lumen," Bäumler said. "These higher oxygen levels make us more susceptible to aerobic enteric pathogens such as Salmonella or Escherichia coli, which use oxygen to edge out competing beneficial microbes."